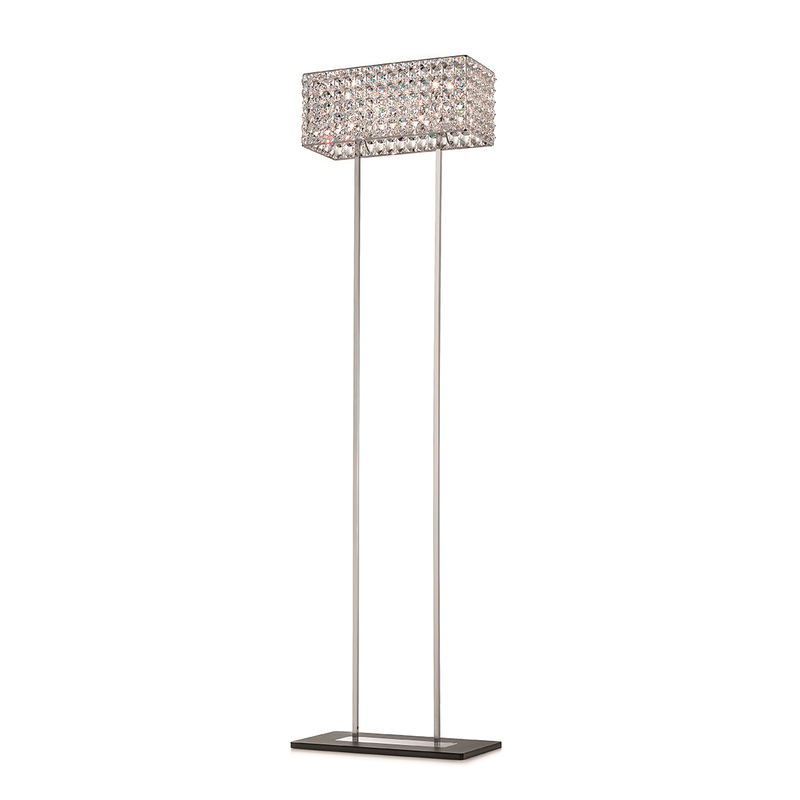 Wall, floor, suspension and table lamp in chrome-plated metal and Swarovski crystals. 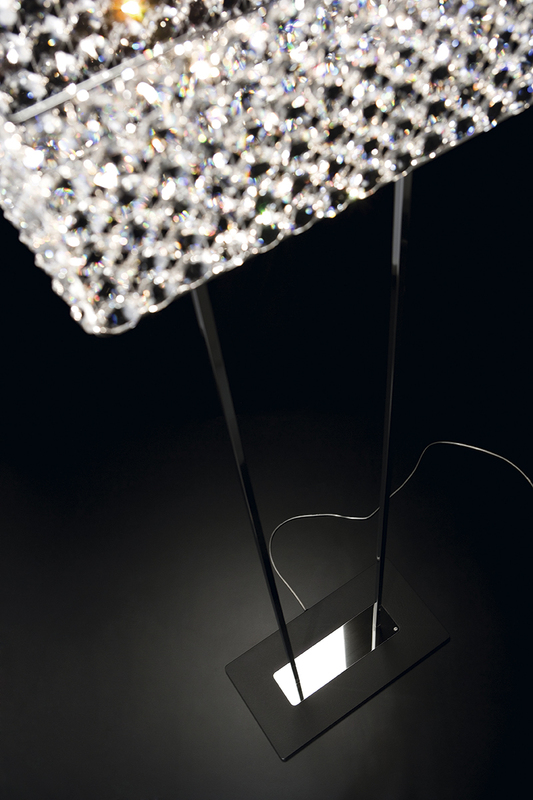 The triumph of Swarovski for five different concepts of lamp and five possibilities of decorating the space. Chrome-plated or colored metal in various shades and crystals, with the finest crafting, made possible by artisans who represent the highest level of crafting skills, with a lengthy tradition to support them. The precious glass is set with precision and skill into a perfect metal mesh structure, meticulous lacework chiseled like a jewel, starting with simple metal rods. A thousand refractions and infinite reflections to hang, set on a table or fasten to a wall are the brilliant result. Ceiling lamp in chrome-plated metal and Swarovski crystals. The triumph of Swarovski for five d..